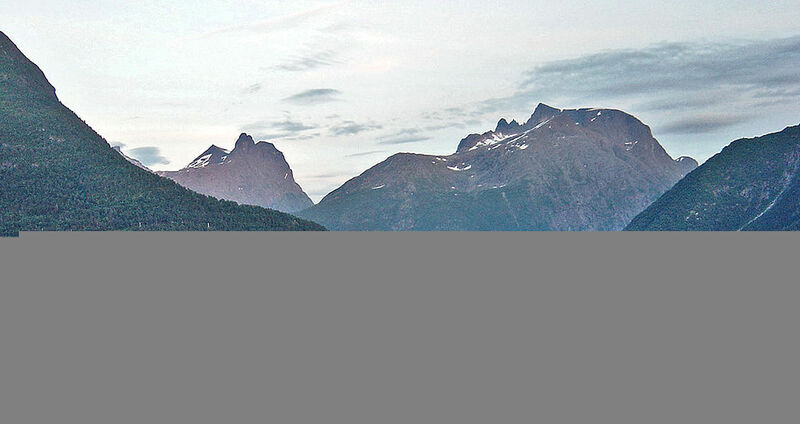 Rauma, a municipality in More og Romsdal county in Norway is a part of the traditional district of Romsdal. The town of Andalsnes is the administrative centre of industry, commerce and service, an important communication link and the end station for the Rauma Railway. It has been a cruise port ever since 1883. The first golf course of Norway lies in Andalsnes and was the English `salmonlords’ who had arranged the golf tournaments at the beginning of the last century. There are only 6 holes so far and probably will be expanded soon. Andalsnes has over 100 years long tradition in the tourism industry with the well-known Trollstigne and Trollveggen in the area. Owing to this one will find plenty of hotels and overnight accommodation for the tourists. Andalsnes has some exciting industry and commerce and in recent years there has been increase in activity in modern plastic industry. Other settlements comprise of the villages of Vagstranda, Voll, Innfjorden, Veblungsnes, Verma, Isfjorden Rodven, Eidsbygda, Afarnes and Mittet. Several of these settlements in the municipality are situated beside the fjords and in the valley of Romsdalen. Part of the southern end of the Romsdalsfjorden and the Isfjorden is surrounded by the municipality and also includes the Romsdalen valley as well as the Romsdalsalpene Mountains.Towards the lower area of the valleys and surrounding the Romsdalsfjord and Rodyenfjorden isthe agriculture with livestock. The Rauma Line is said to be one of the most beautiful as well as the wildest railways in Norway. It is 114.2 kilometre long railway between Andalsnes and Dombas. This line features two horseshoe curves having a 365 metre elevation drop. Surrounding the line’s feature is the Kylling Bridge with views of the mountainous valley. There are five stations which are still in use namely Dombas, Lesja, Lesjaverk, Bjorli and Andalsnes and it is said that there are plans to replace the line with high speed railway. Other attractions are the Troll Road – Trollstigen and Europe’s highest vertical mountain face Trollveggen with idyllic hamlets and villages, mountain tops that reach up to 6,000 feet, fjord-side beauty spots with amazing viewing platform. Trollstigen is a road through the mountains of Norway’s Rauma municipality and is famous for its twists and turns together with its steep incline. Tourists need to be careful while crossing the Stigfossen Waterfall Bridge and avoid getting vertigo while looking down from the viewing platform. The roads are closed in the dangerous winter month and can be visited only in summer. Trollvegen being the highest vertical mountain is the cradle of mountain climbing sports in Scandinavia and is the landmark when one drives down Romsdalen by car. Several of the people tend to stop the car at Horgheimseidet to admire the highest overhang of Europe. Besides these there are several other sites to be explored with has a charm of its own.